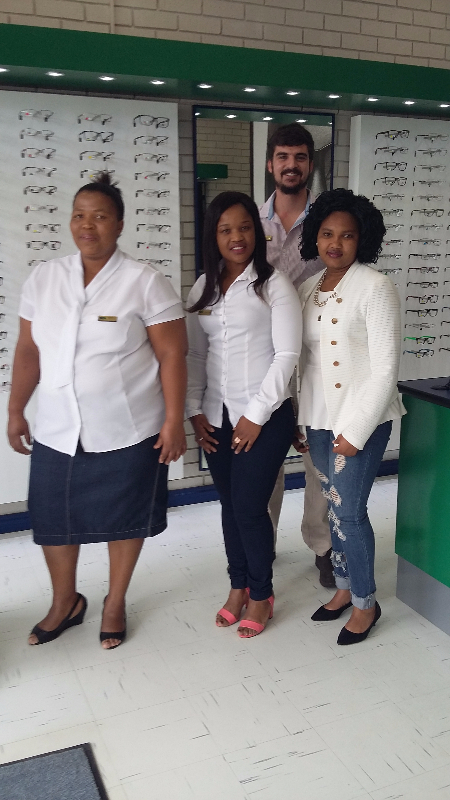 At Spec-Savers Sterkspruit we have a qualified Optometrist who values perfectionism, dedication and professionalism. We opened in August 2016 and have grown to a staff compliment of 4. Our patients are our most precious asset. Our goal is to provide the best possible service to each patient coming through the doors, thus also improving their quality of life. You will be treated in our 1 testing room and should you need additional testing we are also able to offer our patients a Slitlamp, Auto Refractor and Hand-Held Tonometer. Why not make an appointment online at Spec Savers Sterkspruit today to meet our friendly team!